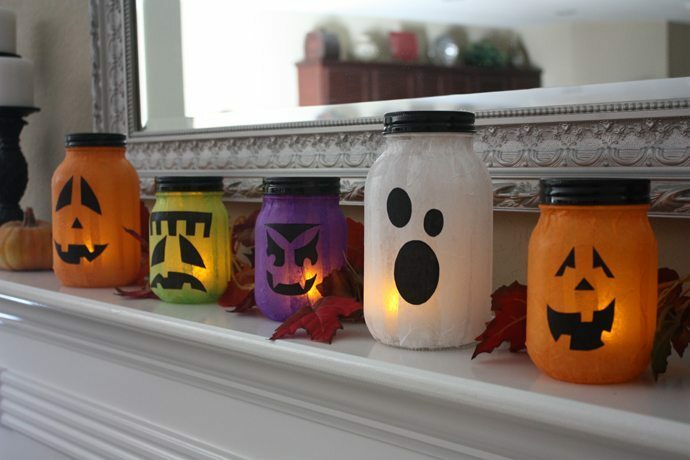 Halloween luminaries are awesome DIY Halloween Decorations. 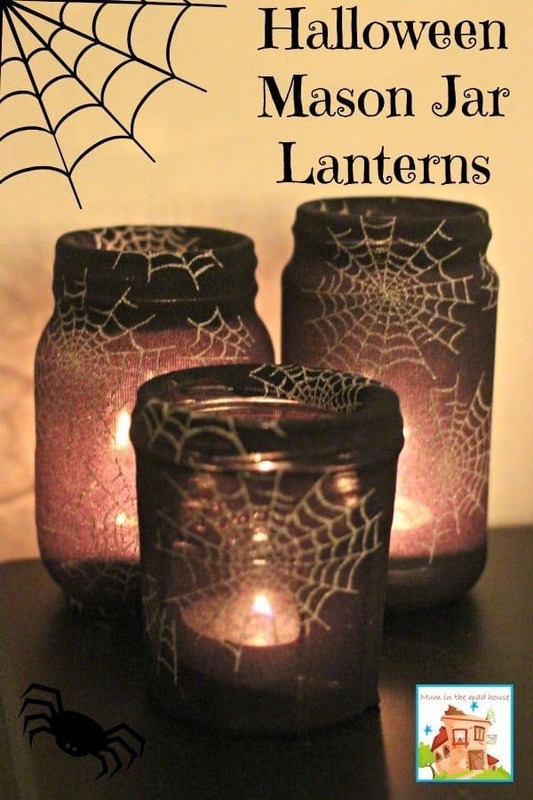 Make some Halloween lanterns to impress your friends and neighbors this year! 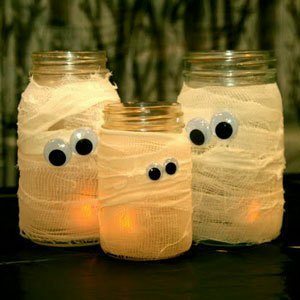 Mason jars, tin cans, milk jugs, and other types of recycled Halloween lanterns emit a gorgeous subtle glow when used as centerpieces, on mantles, in windows, hung up, or on doorsteps on Halloween night. Real pumpkins are classic Halloween luminaries. This list includes everything but real Jack o’ lanterns. Whether you like friendly or spooktacular DIY Halloween Decorations… you will find it below! 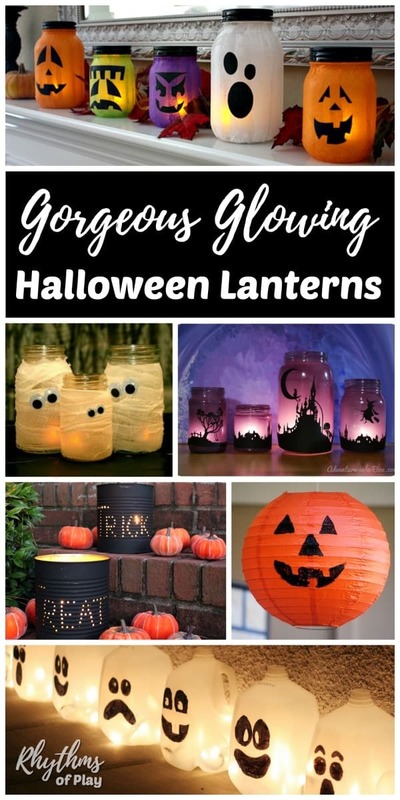 If you are not feeling crafty but love the look of these Halloween luminaries, we have also provided some ready-made Halloween luminary options! 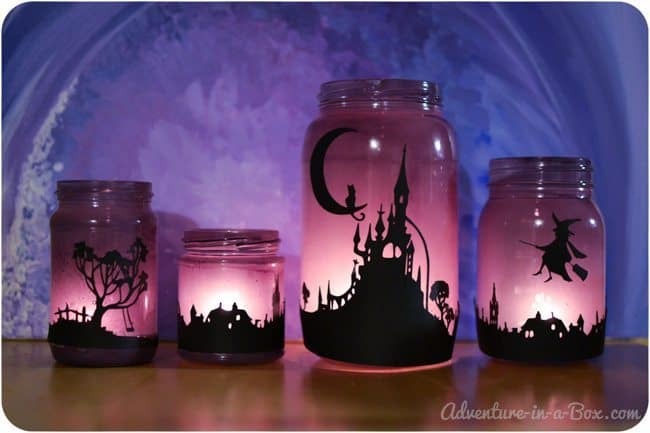 I am in love with these enchanting Halloween lanterns… aren’t they gorgeous!? 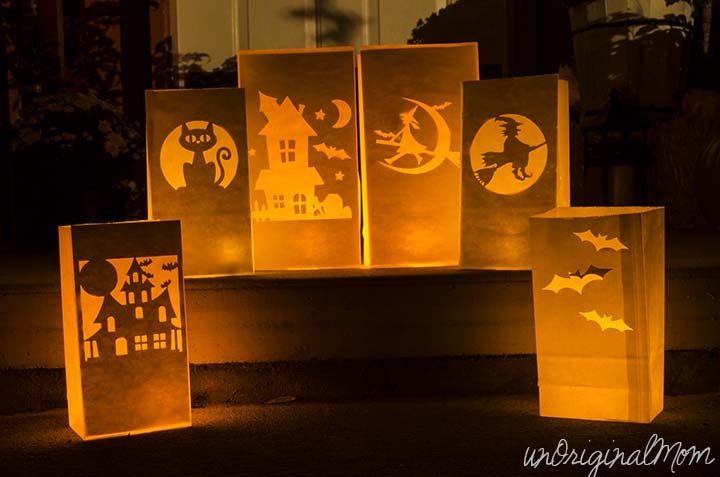 Click on the link above to learn how to make these amazing luminaries. I love all of the different colors and fun hand-drawn faces on these painted jar lanterns. There are so many ways to decorate a lantern using this simple technique. 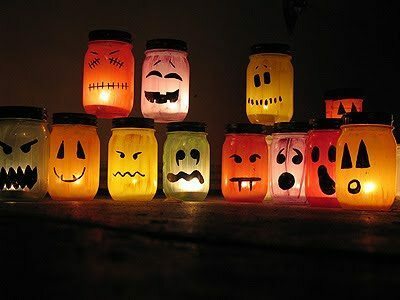 Or you can purchase similar ready-made Halloween lanterns HERE. DIY Jack O Lantern Tea Lights | Moms and Crafters instead of paint this craft uses permanent markers. This version of tissue paper Jack O’Lanterns won my heart because of the different colors of tissue paper used along with the fun designs and different sized jars. A few more of my favorite versions can be found below. I have seen these mummy jars done in many ways but appreciate the easy straightforward tutorial using mason jars , Mod Podge and gauze by Nora Nalle. Can you guess what material was used to create the spooktacular effect of these awesome spider web lanterns? Click on the link above to find out! 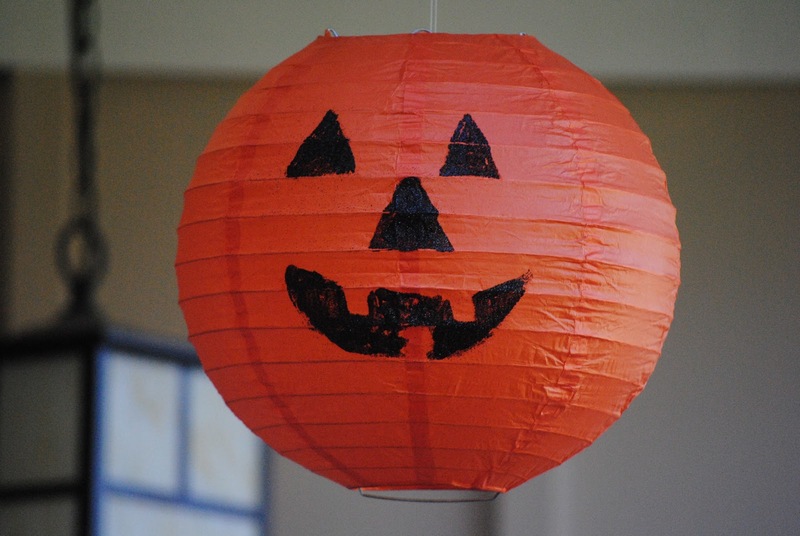 You may also like the inflatable solar light Halloween lanterns that you can purchase HERE. 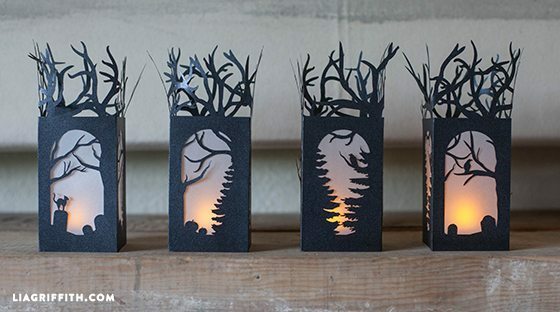 These DIY paper luminaries are breathtaking, aren’t they!? Other super fun pre-made lanterns similar to these can be found HERE, and HERE. 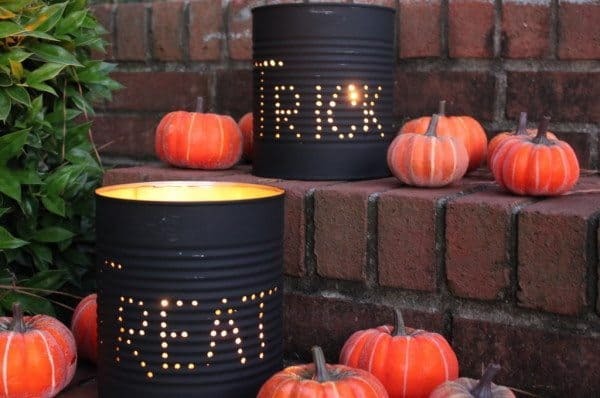 I love the simple look of this collection of recycled coffee can Halloween luminaries. You can also punch words or classic Halloween designs into them and paint them any color you choose. I found some slightly different ready-made tin can lantern options you might like HERE and HERE. These hanging Chinese pumpkin paper lanterns are so adorable and there are so many ways to make them. You can find some cute ready-made versions HERE, HERE, and HERE. I also found some super cute orange lanterns that are made to look more like pumpkins that you can use to make your own HERE. Or you can use the plain orange lanterns found HERE. These floating witch hat luminaries by Polkadot Chair are a super creative alternative to jack o’ lantern hanging paper lanterns! Aren’t they awesome?! There are many other ways you can choose to make these. You can also punch holes to write words or make designs, use clip art stencils, black paint, the opportunities are endless! Some ready-ready made paper bag luminaries you can use can be found HERE and HERE and HERE. You will also need some flameless tea light candles! These are lit by a strand of Christmas lights, but I have also seen them with glow sticks placed inside that give these glowing ghost lanterns a bit of glowing color. Flameless candles also work well in milk jug lanterns. 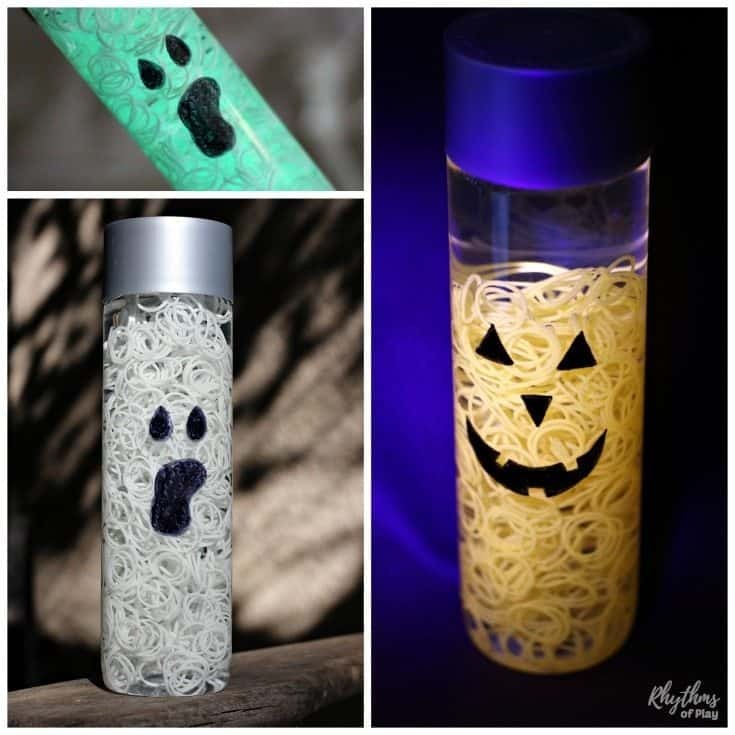 We made a super cool Pumpkin and awesome Ghost Halloween sensory bottles that would make fun luminary and lantern Halloween decorations. Click on the links for the tutorials! 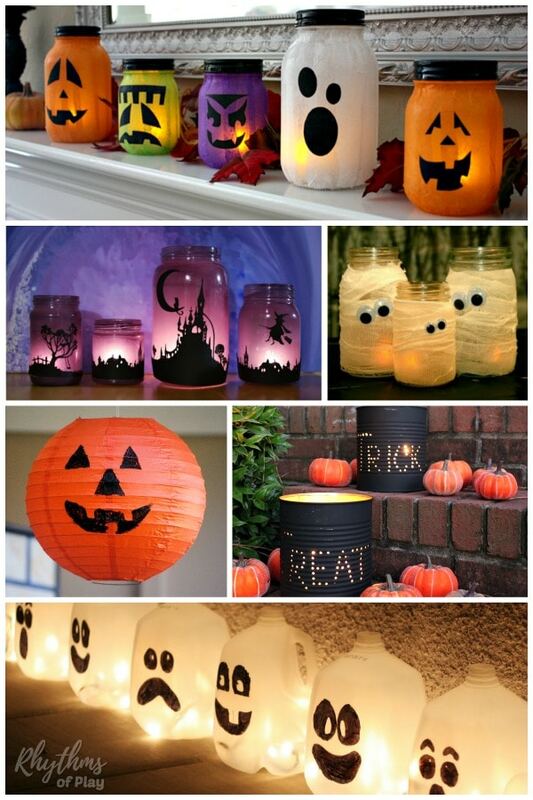 This awesome collection of DIY Halloween lanterns are easy to make. Halloween luminaries are a fun way to decorate your doorstep and windowsills for parties and Halloween night. Most of them are upcycled crafts for both kids and adults. Try your hand at one of these fun DIY Halloween decor ideas or find inspiration to create your own! Most of these Halloween Lanterns can be made with materials from your recycle bin. 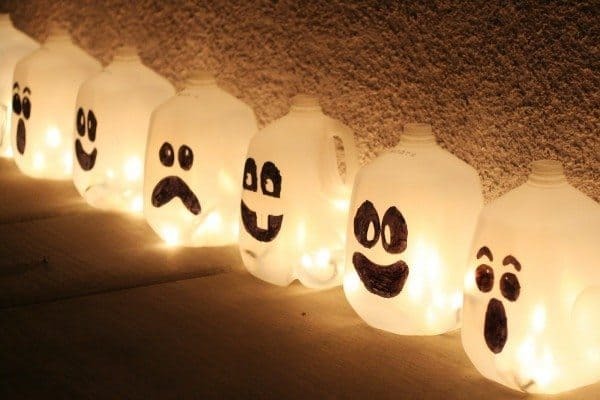 Upcycle you milk jugs, coffee cans, paper bags, mason jars, and other bottles and jars to make these fun Halloween Luminaries. For more fall luminaries, be sure you check out our Turkey Leaf Lanterns and our Heart Leaf Lanterns! You may also like this collection of Halloween Art Projects Kids LOVE! Don’t forget to pop over to have a look at our fall bucket list for the best autumn EVER! Love these!I’m definitely making some this year, I can’t decide which one to try first. Thanks for sharing! I can’t decide which one to try first either! So many fun ideas! These are beautiful! I can’t believe even the ones made with a paper bag emit such a lovely light! I love DIYing lanterns. They’re so much fun and an awesome decor piece. I do too Kelly! Making them can be as therapeutic as their gentle subtle glow, even when it is a bit spooky!